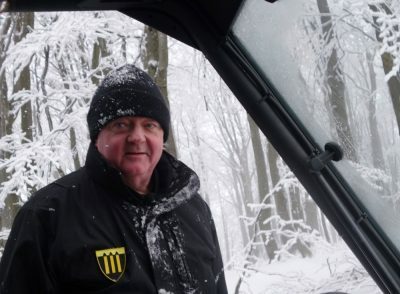 A Russian court in Moscow found retired Norwegian border inspector Frode Berg guilty of espionage on Tuesday, and sentenced him to the full 14-year prison term requested by Russian government prosecutors. Berg has opted against filing an appeal, in the hopes Norwegian authorities will find a way to bring him home. The sentence was harsher than expected, after Berg’s Russian defense attorney Ilja Novikov had predicted a jail term of anywhere from eight to 14 years. Norwegian Broadcasting (NRK) reported, however, that Russian judges often grant the prosecution’s request in espionage cases. Berg also had admitted that he had been operating as a courier for Norwegian intelligence agency Etterretningstjeneste (E-tjeneste) when he was arrested in early December 2017 while on what he described as a pre-Christmas holiday weekend in Moscow. He’s been in Russian custody ever since, held in a high-security prison in Moscow under difficult circumstances for the past 16 months. The 63-year-old Berg has firmly denied, however, that he knew he’d become part of a larger espionage operation that went very wrong for his Norwegian handlers. E-tjenesten, which is charged with gathering military intelligence, has come under severe criticism in Norway over its recruiting efforts, how it allegedly exploited Berg’s long-time efforts to promote cross-border relations from his home in Norway’s northern city of Kirkenes, and how it “cast Berg to the wolves” after allegedly duping him into carrying cash and documents and then leaving him to languish in a Russian jail. Prosecutors argued that Berg was an active participant in an espionage effort aimed at gathering intelligence about Russia’s new nuclear submarines that are designed to hunt down NATO vessels. Berg’s trial was conducted behind closed doors because of the sensitive security-related issues involved. The entire case has been a major embarrassment both to E-tjenesten and the Norwegian government. Berg’s defense attorney repeated to reporters in Moscow on Tuesday that Berg now “expects Norwegian authorities to do what they can to help him.” That can either be by arranging a prisoner exchange involving another NATO ally (since Norway has no Russian prisoners of its own to offer), by striking a deal whereby Berg could serve his jail sentence in Norway, or by requesting that Berg be pardoned by Russian President Vladimir Putin. Norwegian Prime Minister Erna Solberg met with Putin in St Petersburg last week and Berg’s situation was believed to be on their agenda. Norwegian government officials are also widely believed to have been negotiating behind the scenes with their Russian counterparts. Neither Solberg, her foreign minister Ine Eriksen Søreide nor military officials have been willing to speak about Berg since his arrest, other than to confirm that he has received consular services through the Norwegian Embassy in Moscow.